2018 Passover Seder Sign Up! We are putting up the big white tent on Alumni lawn and filling it to capacity with, people, food, Matzah, Passover wisdom, and songs. Our Seders are in English with Hebrew highlights, and full of relevant messages. 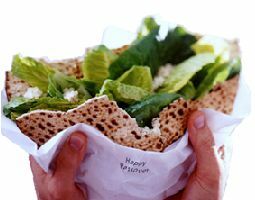 Enjoy a delicious homemade feast, Passover songs, crispy hand-made Matzot and the 4 cups. Be part of a Passover Seder you will remember for a lifetime! Passover is a family time and we invite you to the Chabad Seders as honored guests; free of charge. The Seder does cost a fortune so if you would like to contribute please do below. RSVPs are crucial though- we want to make sure you get enough brisket! Celebrate with hundreds of your friends in a huge wedding style tent! This is a fun, fast passed meaningful Seder in English with a bit of Hebrew. You get all the highlights, all the food and a Mega experience! Celebrate as family with more singing, insights, energy and text/Hebrew reading. The Seder will be very easy to follow, and led and explained in English. For the full Passover schedule and to RSVP , for Services, free holiday meals, kosher cooking, extra events , click here. Chabad will be ensuring that there are delicious, healthy, kosher for Passover meals throughout all of Pesach, please contact us nechama@chabadvanderbilt.com for details. Please keep in mind that all funding for the Seder is raised through donations and not by charging students. It will cost us over $66,000 to provide the full Passover experience on campus. We truly appreciate your partnership. Coming with friends? Vegetarian? Any other concerns we can help you with?